strong>My profile just rolled over to LinkedIn’s new desktop redesign which has been rolling out over the past several months to all LinkedIn users. 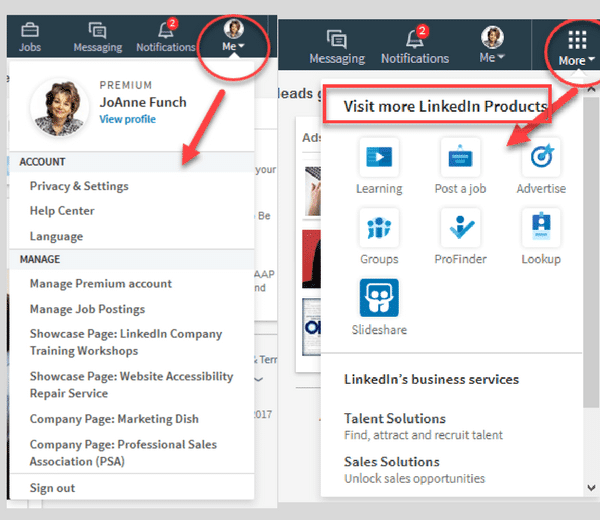 If you use LinkedIn’s mobile app then you will notice how similar the design is giving LinkedIn more congruency now with their brand on all devices. 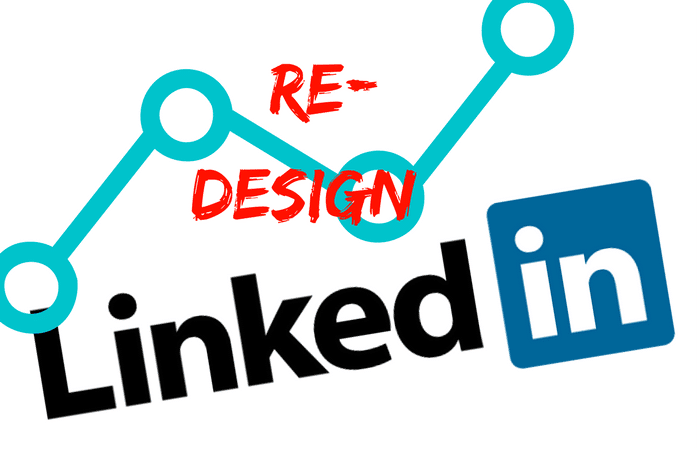 The primary focus of the redesign is the newsfeed and in LinkedIn’s words they are “bringing conversations and content to the heart of the platform, so you can more easily share ideas, join a discussion, and discover news and topics you care about.” They want us to focus on engagement and I couldn’t agree more. Being engaged in real and meaningful conversation is what will make the difference in being a lurker or someone whose intent on building relational capital. There are now seven core areas on the bar navigation — Home (Your Feed), Messaging, Jobs, Notifications, Me, My Network, and Search. 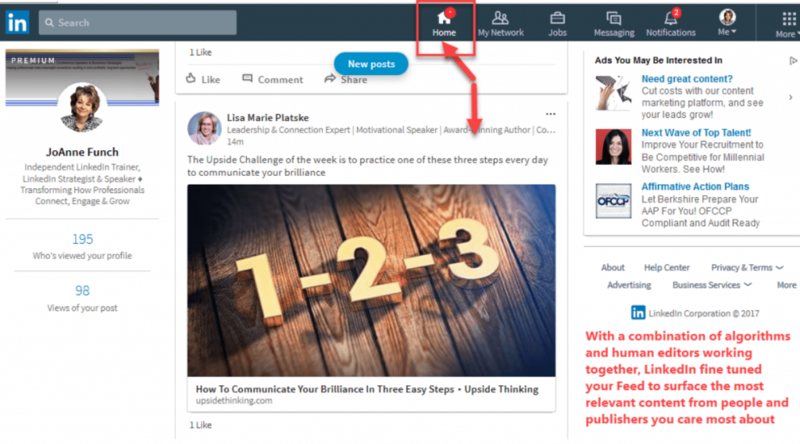 With one simple click on the “more” icon on the navigation bar you can also launch into other experiences that matter to you, like LinkedIn Learning. 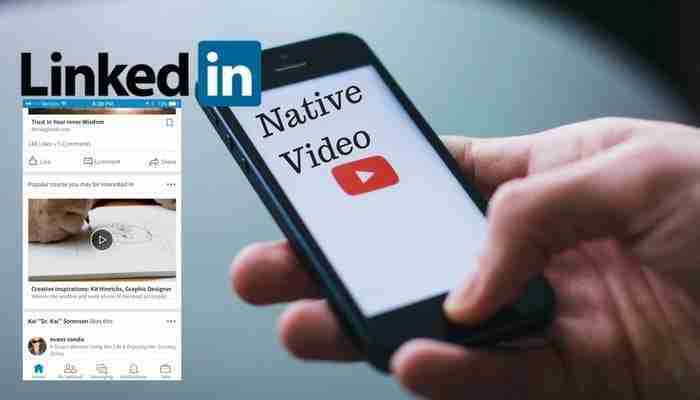 Per LinkedIn, the news you see is a combination of algorithms and human editors working together, they’ve fine-tuned your individual Feed to surface the most relevant content from people and publishers you care most about. They will also be adding new ways for you to dive deep into specific topics relevant to you and follow trending stories. I recommend if you want to be seen in the newsfeed then post your own status updates consistently along with commenting on other people’s posts. 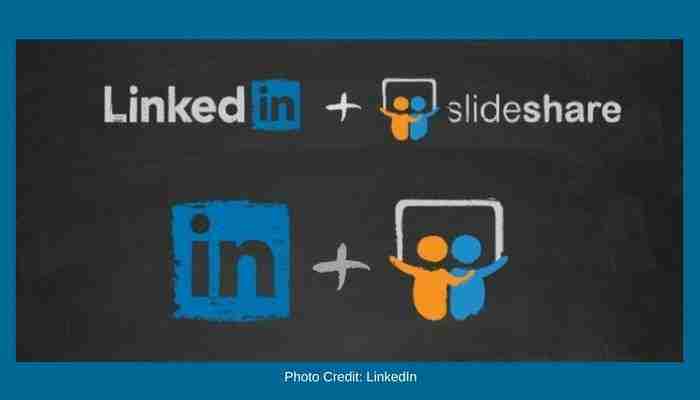 LinkedIn’s algorithm may perceive you as someone whose content should be shown more often and to more people. I have heard in the past LinkedIn rewards those with consistent activity. NOTE: The news feed on desktop and mobile vary, check them out side by side and you will see a difference in what is being shown. Take control of what you see in your newsfeed. Best Practice: Don’t report a post because you don’t like something, or you find it personally offensive such as political commentary, simply HIDE it. It isn’t fair to report someone with a differing opinion than yours. The ME tab is now where you click to edit your profile, change your privacy & settings, find the help center and a list of any pages you manage. This is also where you will manage your account, job postings, and company pages. Previously these were all accessible in different areas so the consolidation makes sense. View your profile from the ME tab. Once opened click the pencil next to the right of your profile photo to edit. You can also share a profile and create a PDF by clicking on the three dots next to the edit pencil. 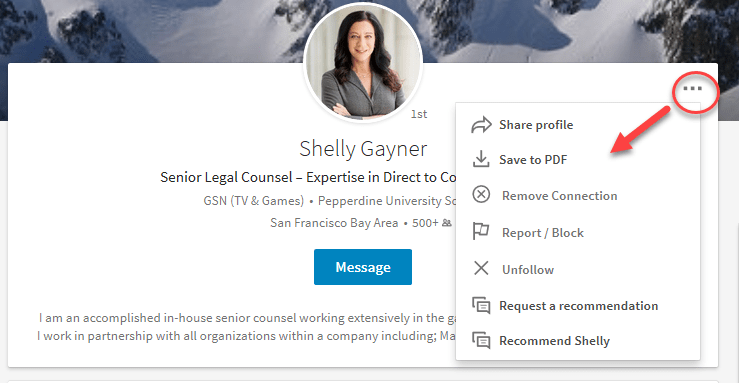 • There is no blue button next to profile pictures which gave access to recent activity & view profile as your connections would see your LinkedIn profile. • The summary is static on top under your header. Under your name, title, company name LinkedIn pulls the first 223 characters (with spaces) from the first lines of your Summary section as a description. (63 on mobile) You really want to make that first sentence be a strong marketing message. There is a ‘See more’ tab, but if your statement isn’t compelling no one will want to see more! Each section of your profile can be edited by locating and clicking on the pencil icon. When viewing a connections profile, click on the 3 dots next to the profile picture and this is where you will be able to share their profile with a colleague, save it as a PDF, remove them as a connection, report or block them, unfollow if you were following and not connected and importantly this is now where you request or recommend a connection. 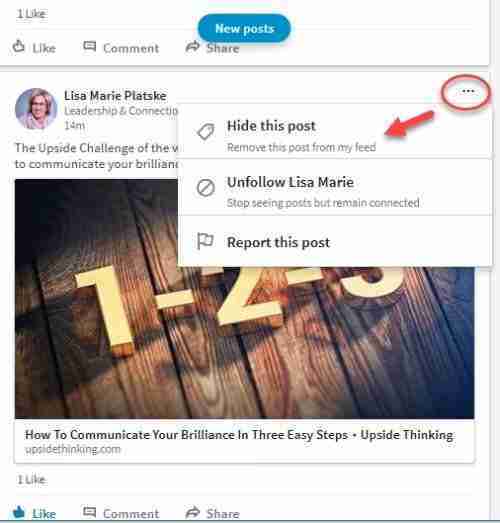 LinkedIn headers are not displayed the same way on browsers, mobile, or even in the app. I checked my header on the desktop via Firefox and you see below some of the text appears behind my profile picture. On mobile and IPad, the text is not obstructed and is above the profile picture. The new dimensions are 1536px X 768px. I recommend adding your logo or any type of branding to the right side of the entire image. You will want to test out the space, remember this is an additional spot on your profile to adding branding elements. In the previous design, LinkedIn offered some generic header designs, that is no longer an option so I suggest at a minimum you upload an image that aligns with your professional brand. • Featured skills and endorsements are in your experience sections. The three most recent endorsed skills are shown. The new layout is different and will take some getting used to the functionality. The overall look and feel is more streamlined and is supposed to offer a better user experience. Let me know what you think in the comments below and review my Linkedin services.